A 450-foot high hill would seem to draw some attention, especially when it rises 200 feet above a BART station, and 450 feet above Lake Merced. Alas, it only rises 50 feet above Mission Street in Daly City at Top of the Hill. A hill that straddles the boundary with Daly City doesn’t get much love. 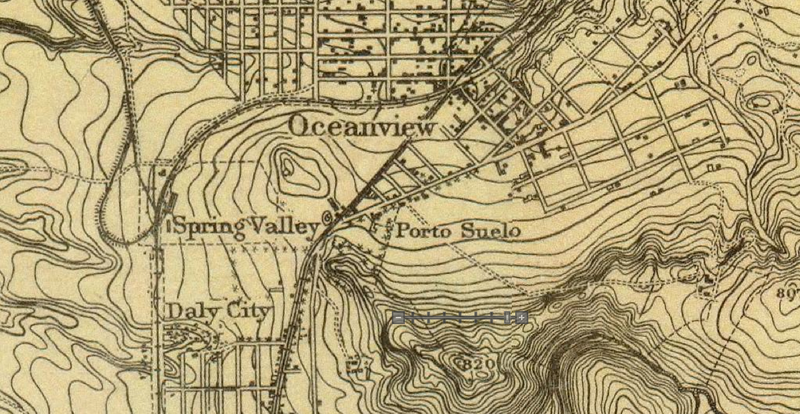 In the latest installment of Forgotten Hills, we look at La Portezuela in southwest San Francisco right on the border with Daly City. La Portezuela's north side seen from Head Street in Ingleside Heights. 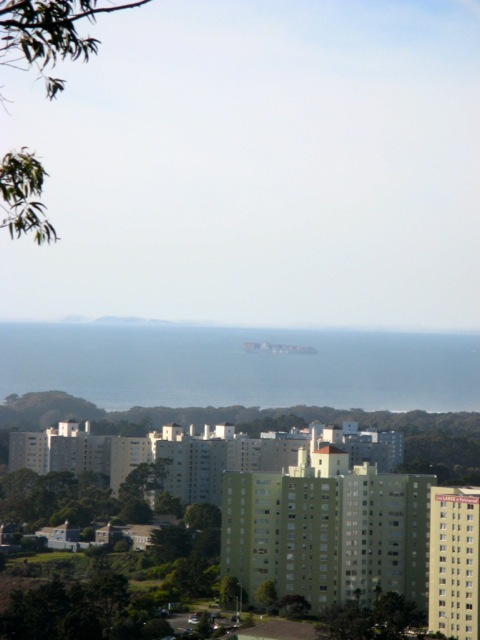 View of La Portezuela from the Daly City BART parking garage. Reservoir Hill is to the right. View looking north and east from La Portezuela. 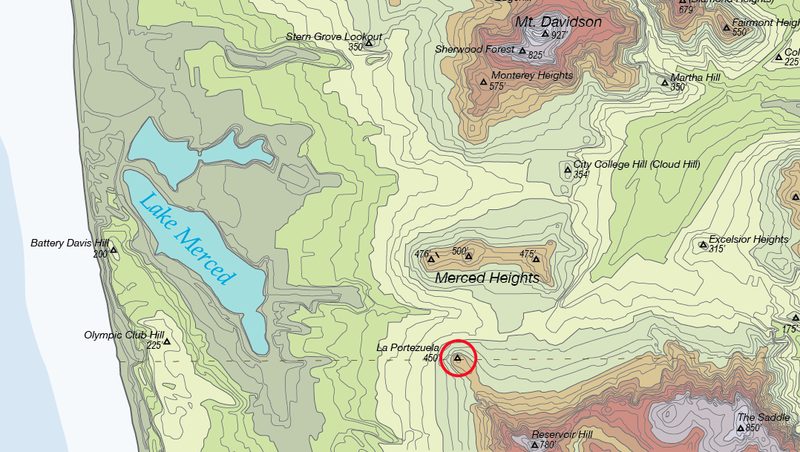 Merced Heights are near left, while Mount Davidson is the highpoint (center). Downtown Oakland can be seen in the distance (right). 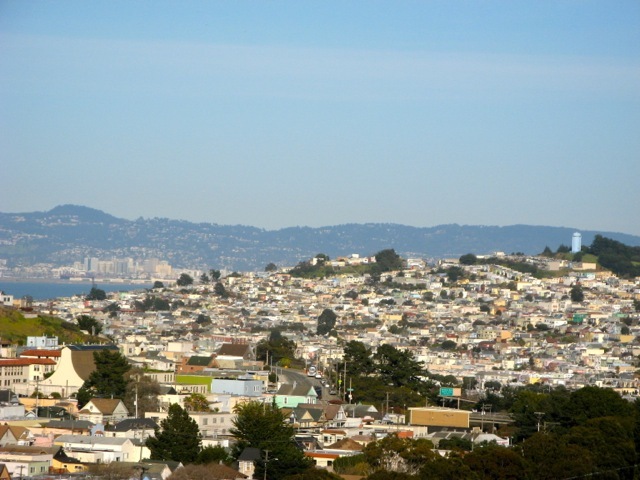 The hill in question rises high above Lake Merced and the Brotherhood Way ravine, while looking across at Merced Heights to the north and Fort Funston to the west. 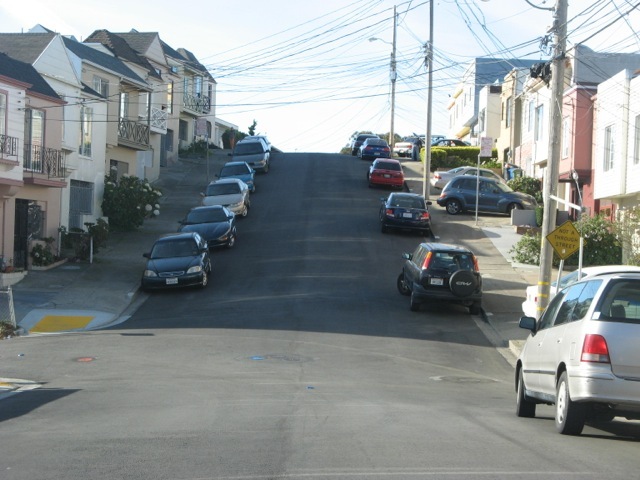 The hill climbs to an elevation of 450 feet and lies at the top of Bepler Street, a modest residential street in Daly City. Despite its height, the hill may have no official name. There are many names for a historic hill once called La Portezuela in Daly City but the location of the historic hill is not specified precisely. As shown in the map above, the hill is virtually the southernmost peak in San Francisco. Although the slopes of The Saddle (a hill in San Bruno Mountain State Park) rise nearly 50 feet higher than La Portezuela, The Saddle's peak lies south of the San Francisco city limit. More maps, images and descriptions after the break. Mission Street passes through the saddle between La Portezuela and Resevoir Peak to the southeast. What is the name of this hill at the end of Bepler Street? The e-book, Gateway to the Peninsula: A History of the City of Daly City by Samuel Chandler references a hill or place in this general area. Its was first known as “La Portezuela”. 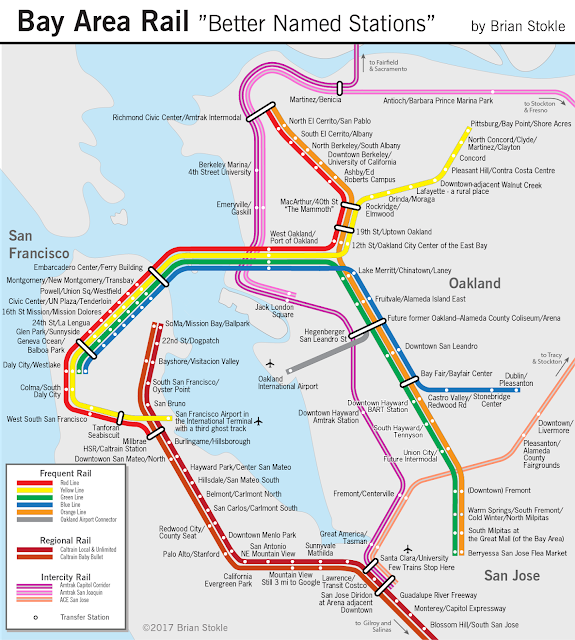 …the priests from the Mission and the soldiers from the Presidio had marked out a winding trail that connected San Francisco to the rest of California. At the place where the road reached the top of Mission Hill (not sure where this is) the priests noted a gap between San Bruno Mountain and the Coastside Hills and named it La Portezuela. 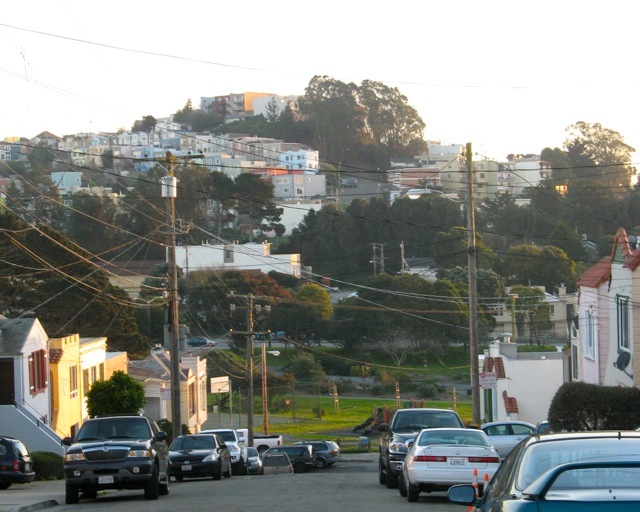 It has since been known by other names, notably Daly's Hill, the Top of the Hill, and the Center of Daly City. 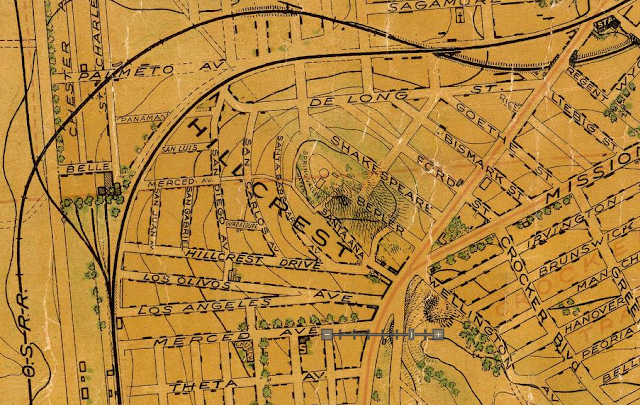 Whether or not the physical name describes the saddle along Mission Street between Reservoir Hill and the hill OR the actual hill we’re studying here, we’re naming the hill La Portezuela. 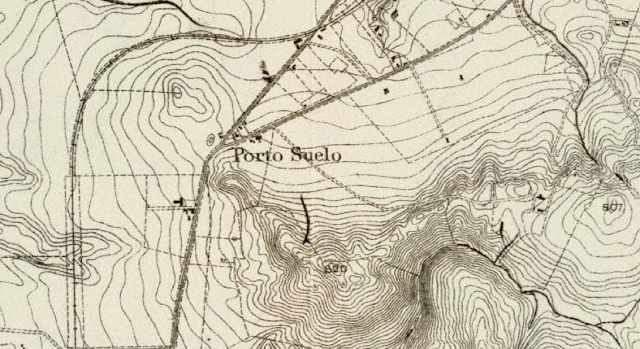 We could have called it Daly’s Hill, Top of the Hill, or even Bepler Street Hill, Boundary Hill, Porto Suelo Butte or Hillcrest Hill, but La Portezuela seemed the most historic and romantic name. La Portezuela means "The Little Door" in Spanish. 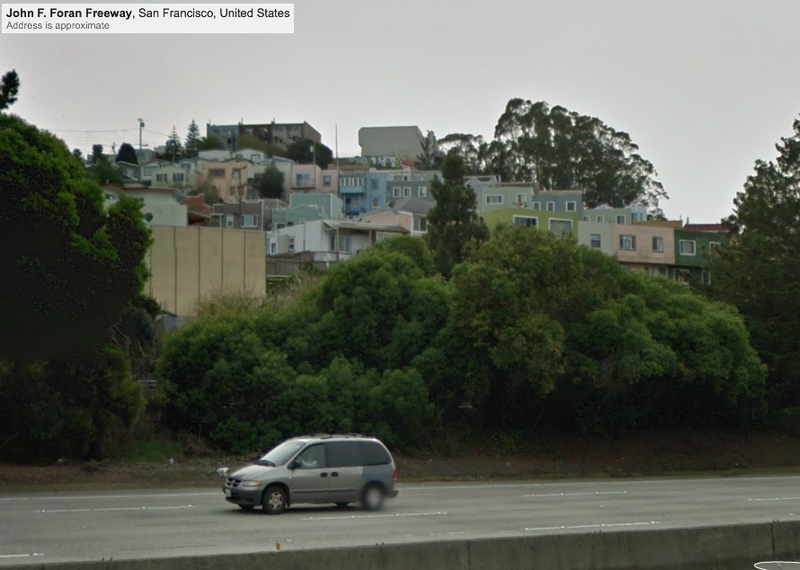 Maybe this hill is the little door between San Francisco and Daly City. 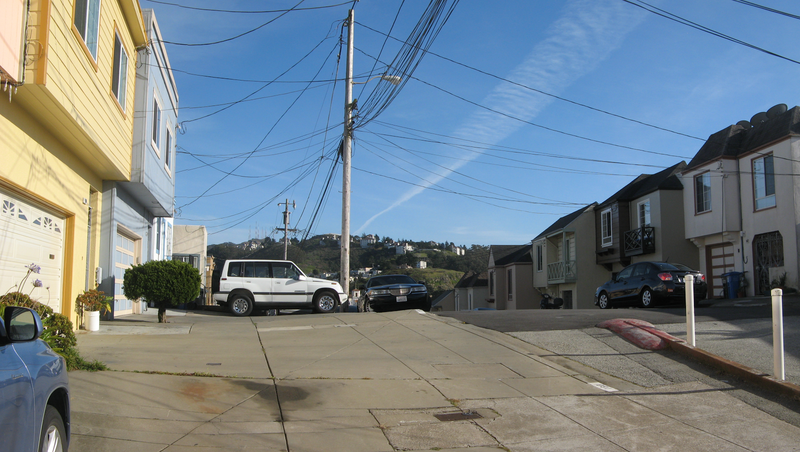 Bepler Street, showing the south face of the hill which only descends 50 feet to Mission Street. Prominence: 50 feet (but 450 feet to northwest). 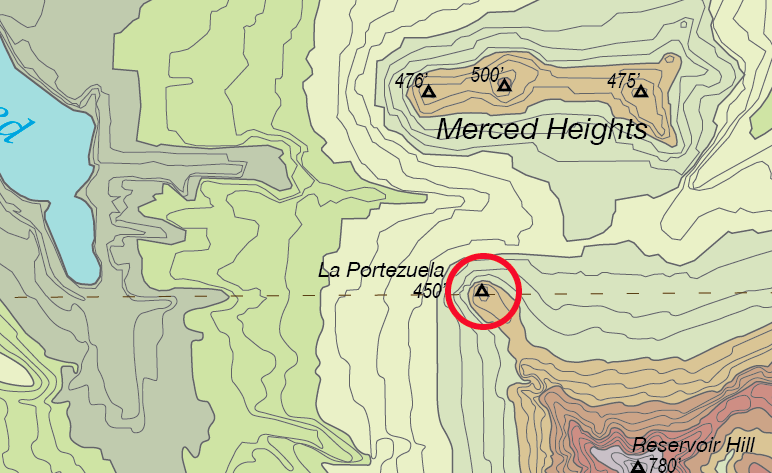 Reservoir Peak is the nearest peak (southeast of La Portezuela) and reduces the hill’s prominence with its 775 foot height. Confusion: Lacks a specific name. However the hill mentioned in Gateway to the Peninsula may be this hill. Cross Streets: At the top of Bepler street just northwest of the intersection with Rhine Street. There’s not much history of this site, apart from what I’ve already mentioned. The hill rises above the first community of Daly City and it appears that the Spring Valley Water Company owned the top of the hill originally and had a water tower or reservoir on the peak at one time (as shown in the August Chevalier map below (1911)). 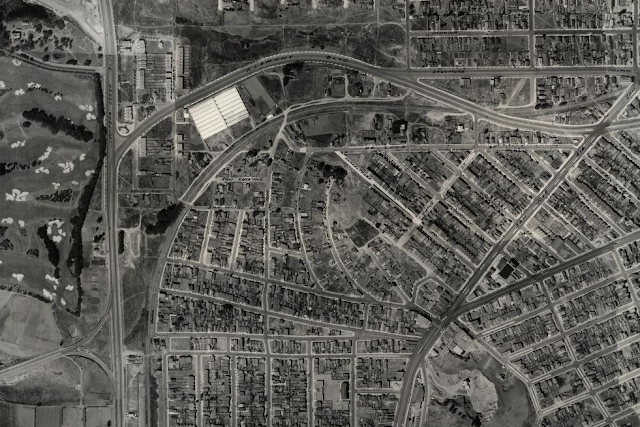 In addition, the block of Bepler Street at the top of the hill appears to have been developed between the 1940s and 1990s. Regarding the hill's precise height, the only source is USGS maps which show it being more than 450 feet high, but below 475 feet. The hill is seen in many U.S. Coastal Surveys maps, but no height specific height is indicated. The previous two hills we looked at, Hunters Point Hill and Black Point at Fort Mason, had low elevations of 125 and 111 feet respectively. What makes La Portezuela hill noteworthy is its steepness to the north overlooking the Brotherhood Way ravine. It's so steep that the Bepler Street does not pass through north of the hill, nor does Head Street rise up the hill from the north. 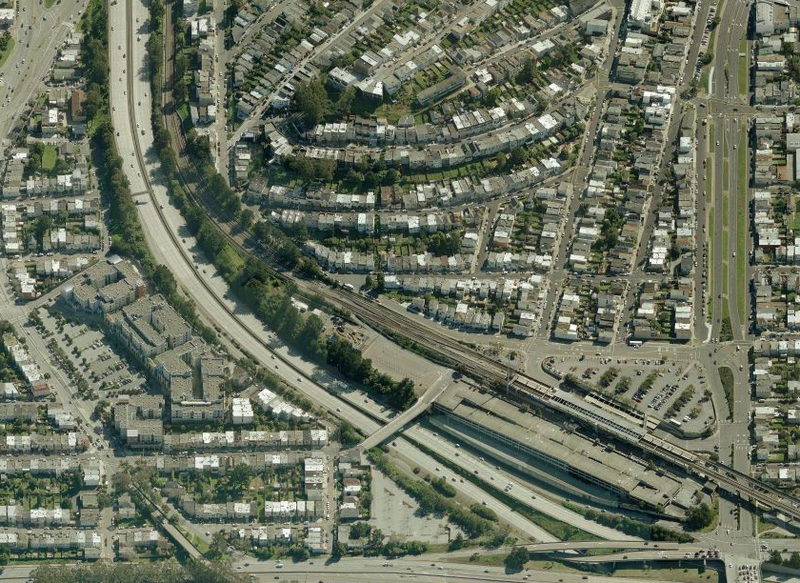 By being on the border between San Francisco and Daly City, this makes it a duel city peak. 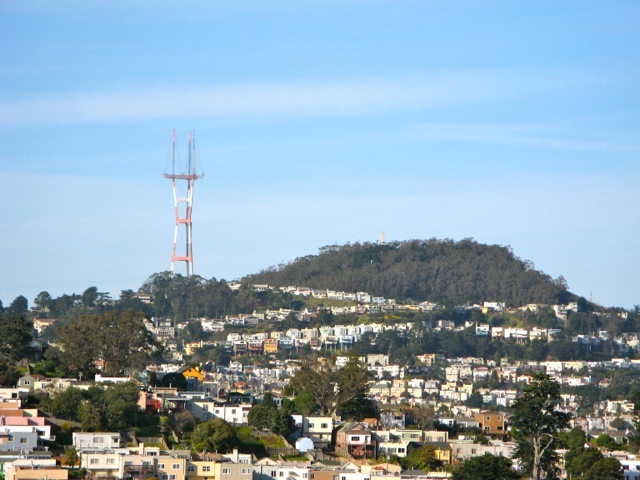 The peak itself may reside in Daly City or San Francisco. I could not ascertain where the precise border was. The pavement on the street does change, However, I don’t know if this is due to each city paving differently (like at a state border), or that the end of the street might be designated a private street. View of the actual peak, which is not at the exact end of the street. Note the change from dark to light street pavement (right center). The view from the top of the hill is most striking feature. A narrow vista looks northwest to the Marin Headlands and Point Reyes. A grand vista (as shown in the first image up top) affords a wide view from Sunset Heights to Mt. Davidson, to Excelsior with parts of Oakland showing through and Mt. Diablo (which is visible from almost anywhere of any moderate elevation). Park Merced Apartments with Point Reyes in the distance on this clear day. Excelsior is in the midground while Downtown Oakland is to the left in the background. 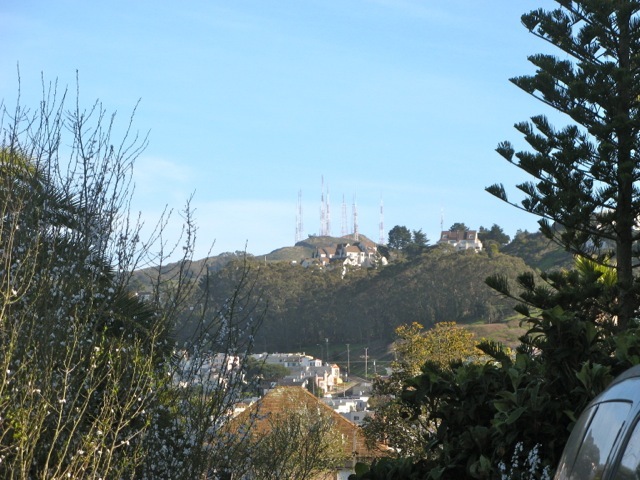 View southeast to San Bruno Mountain and its radio towers. The homes are atop the flanks of Reservoir Hill in Daly City. If you're interested in finding a more comprehensive list of San Francisco's hills I suggest going to SF Gazetteer, or to 47hills.com. 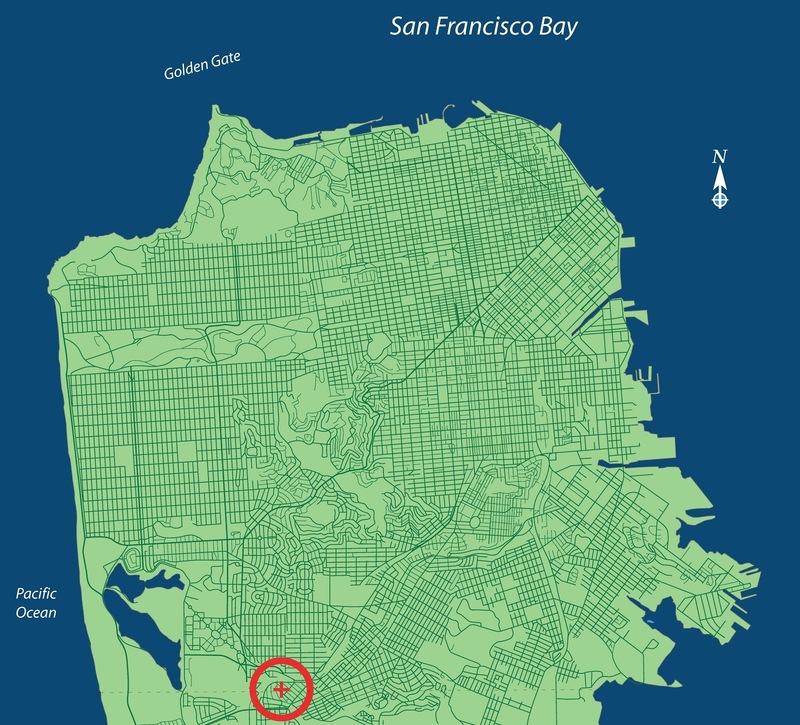 SF Gazetteer is true to its word when it states "The most complete and accurate list of San Francisco hills." 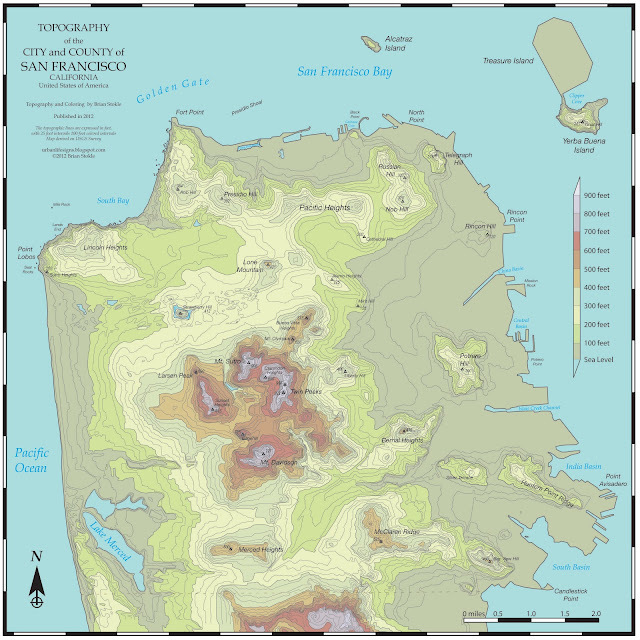 I am in a huge debt to all the work that SF Gazetteer did to compile its list of over 70 hills and the research on each of them. 47 Hills has a shorter list but many more photographs of the hills, or the view from them. I have been interested in this map reference for years. I have noticed this name or very similar on many of the early bay area maps, from Petaluma to the south bay and though the name varies in spelling, it seems to indicate the same thing, which is that of a low point between two hills. This would be an ideal spot for a trail or road to pass through, so the phrase you mentioned of "Little Gate" seems appropriate. Again, the spot on the map where this is shown is the low point at the pass, not the top of the hill. 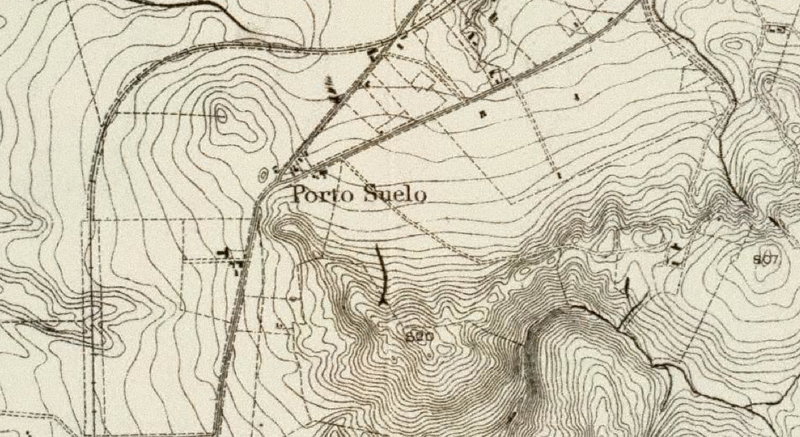 I saw the name "Porto Suelo" on the 1869 Coastal Survey map on another website. I had never seen that name before, so I googled it and found this page. So glad I did! I pass this hill frequently on BART. It is a curious little spot, tucked away between Mission St. / San Bruno Avenue on one side and the Freeway / BART on the other. Interesting blend of early 1900's homes on the lower slopes and newer homes up top. Always thought it would be a neat place to live.